This pendant is substantial and two sided with a generous bail capable of handling a large cord, chain or wire. The bail opening is 10 by 7 mm or 7/16 by 5/16 inches. The pendant is solid sterling silver or golden bronze and is suitable for men or women. 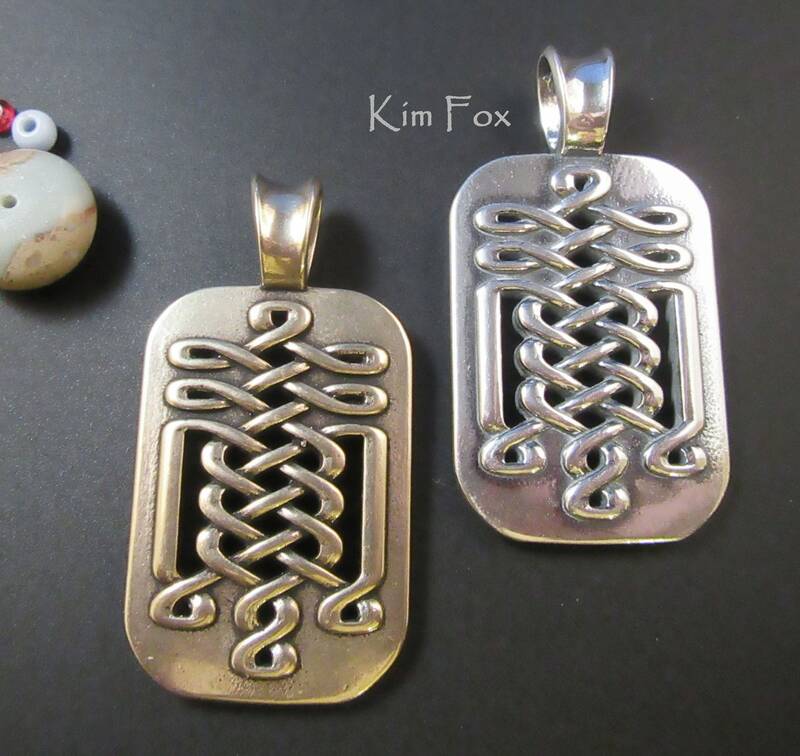 The Celtic Design is a series of knots that show on both sides of the piece making it truly dimensional. There are earring that have the same pattern but a slightly different shape that are available in Sterling Silver or Bronze if you would like an accompanying piece. 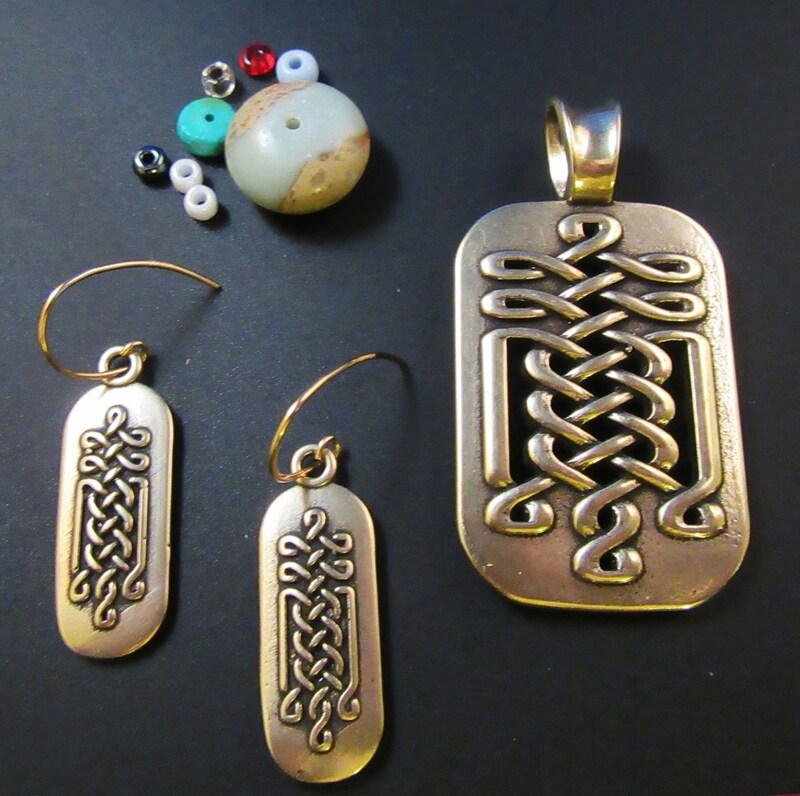 The wires for the earrings are silver or gold filled. 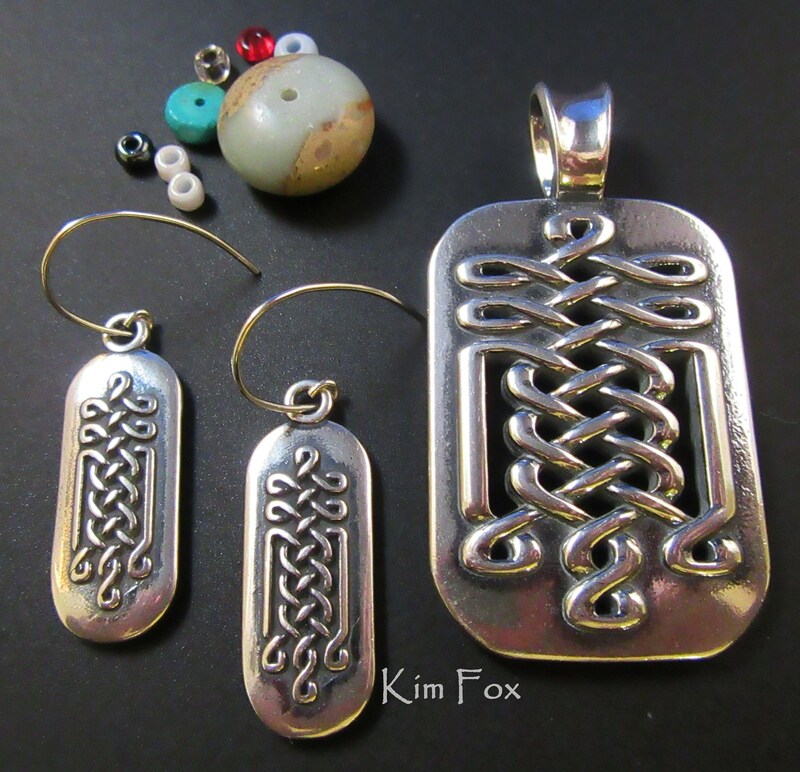 The pendants and earrings are designed by Kim Fox and are lost wax cast in Albuquerque New Mexico.